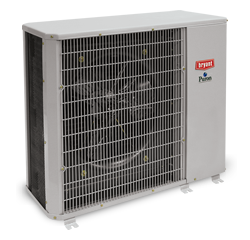 The Bryant Preferred Series Heat Pump is all about increased energy efficiency and a reduced electric bill. 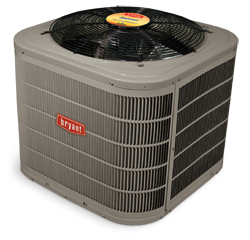 Bryant is renowned for offering exceptional heating and cooling systems and their Preferred Series Heat Pump is one of their best. Their Preferred series is equipped with a two-stage scroll compressor and it is fueled with Puron refrigerant, a non-ozone depleting refrigerants. This two-stage scroll compressor is a highly efficient design with a 16.5 SEER rating, one of the better ratings available for air-source heat pumps which is above the Federal standard. 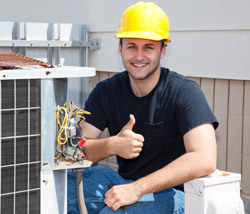 Bryant’s technicians are all professionally trained in the installation and maintenance of residential comfort systems. 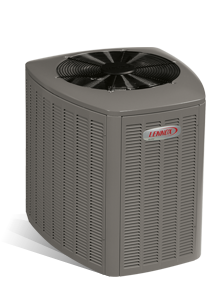 The Preferred Heat Pump delivers all-season flexibility for total home comfort. Provides warm-weather cooling which, during colder seasons, can be reversed for low-cost electric heat. 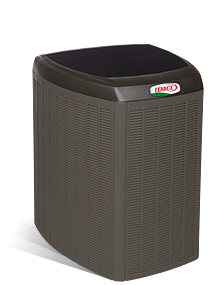 Having a professionally designed and installed heating and cooling system will have a huge impact on your energy costs. Energy Efficient – solid energy efficiency any heat pump provides over traditional models will equate to substantial savings over the decades. Meets the high energy efficiency needed to qualify for up to $1,500 in U.S. Government tax credits. Up to 16.5 SEER and 9.5 HSPF – It delivers savings on your energy bills with up to 16 SEER cooling efficiency and up to 9.0 HSPF heating efficiency. The Preferred series heat pump has been rigorously tested – in fact every product and system–even beyond what the heating and cooling industry requires. They use field trials to test product performance in real-world conditions, and these tested products are installed by actual Bryant dealers. Humidity Control – for enhanced control over temperature as well as humidity control, add a variable speed gas furnace or electric fan coil and Thermidistat Control. This system will give a seven-day-a-week programmability. Comfort-enhancing Perfect Humidity function. Perfect Humidity technology provides up to 30 times the humidity control of standard heat pump systems. Hybrid Heat – combining the heat pump with a variable speed furnace and matching control, a hybrid heat system automatically selects to the most economical heating source for your heating needs. Scroll Compressor – the two-stage scroll compressor is designed for use with Puron refrigerant and to quiet, smooth-operating comfort. Smooth-running two-stage scroll compressor features naturally quiet operation. Bryant’s Microtube Technology refrigeration system with copper tube/ aluminum fin coil maximizes transfer of heat outside your home to ensure cooling efficiency. Field-installed Filter Drier – Pressure switches and the filter drier protect the unit’s most important single component, the compressor. Puron Refrigerant – environmentally sound Puron refrigerant. Freon- 22 is being phased out of existence due to concern over the Earth’s ozone layer. 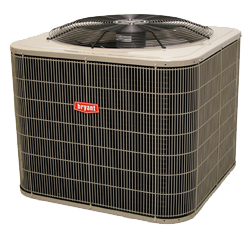 Bryant no longer creates Freon-22 products. By selecting the Preferred Series with Puron refrigerant, you are helping preserve the ozone layer. AeroQuiet – quiet level as low as 67 dB features the AeroQuiet System II, compressor blanket, split-post compressor blanket, swept-style fan blade. Features Bryant’s DuraGuard Plu system which offer great durability by protecting outdoor units. The following warranty is available with the Preferred Series: 10 year limited warranty on parts if registered. 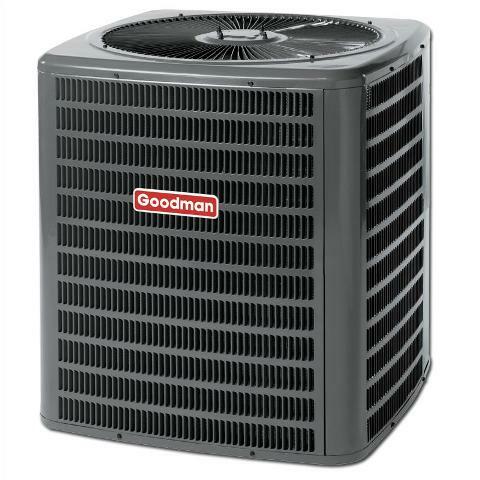 Bryant is a partner of ENERGY STAR and it has been determined that heat pumps with system combinations of 14.5 SEER, 8.2 HSPF or higher meet the guidelines set out by ENERGY STAR for energy efficiency. Supported controls for this unit include the Thermidistat controls, and the Hybrid Heat dual fuel thermostats. This unit also features enhanced diagnostics with Evolution control. The Preferred Series uses the Puron refrigerant which has been designed to be environmentally friendly. This heat pump also features a 2 stage scroll compressor which is designed to work in a circular motion rather than an up and down motion for better efficiency. The Preferred Series also offers 2 – 5 tons of cooling and heating capacity. Bryant’s innovatory protection package called DuraGuard Plus is used to protect your outdoor unit from bad weather conditions, and also increases your units durability. This unit is constructed from sheet metal for strength and durability. A layer of powder-coat is added to ward off rust and protect the sheet metal casing. For a great added finishing tough the cabinet screws are color matched. 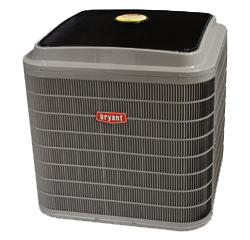 Bryant offers a 10 year limited warranty of parts to the original owner of this heat pump. This warranty only applies if the unit is registered within 90 days of purchase. If your heat pump has not been registered within 90 days then a 5 year warranty will apply. There are also various extended warranties that may apply, speech to your Bryant dealer for further details. A 10 year limited parts warranty will also apply in jurisdictions where benefits cannot be conditioned upon registration.